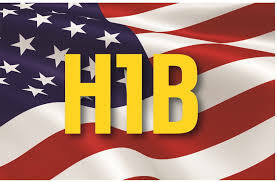 Unfortunately, over the past few years applications for H-1B specialty occupation visas have far surpassed the yearly 85,000 visas allotted (65,000) for Bachelor Degree professionals and (20,000) for U.S. acquired Master degree professionals. In fact there are usually more than double the applicants as there are available visas. If an applicant is not selected as one of the lucky ones, they feel they must wait an entire year before trying again. They must also hope that the sponsoring employer will also be willing to wait another year. There is a surprising alternative which has arisen over the past year. Have the employer apply directly for Permanent Residence through Labor Certification. The waiting lists for applications for Permanent Residence through employment have dramatically decreased over the past months for the EB-3 Bachelor Degree/skilled worker category. This includes those occupations requiring either a Bachelor degree or 2 years experience. In the past this category typically had a waiting list of 3-5 years or longer for an applicant’s priority date (date the application for labor certification filed) to be reached. However, under the current Immigration law where in order to apply for Permanent Residence through employment in the U.S., the applicant must be maintaining Lawful Status until the application is filed,(there is a 6 month lapse in status which is allowed) the pool of applicants who can apply for Permanent Residence through Labor Certification has markedly shrunk. Under current processing times at the Department of Labor, A properly prepared and filed application for labor certification through employment can take as little as 6-7 months from the date of filing to adjudication. Remember that once the application is approved by the Department of Labor, the priority date is the date the application was Originally filed. The currently waiting list for August 2015 for EB-3 is July 15, 2015. Therefore, if this trend were to continue, the applicant’s turn on the waiting list (visa bulletin) will have been reached as soon as the Labor Certification was approved. An application for Permanent Residence could be immediately filed. Once the application is filed, the applicant no longer needs to be concerned about maintaining status. The benefit of the decrease in the waiting list is equally as applicable to applicants outside of the United States. If they had an employer willing to sponsor them for an H-1B, even if selected, they would have needed to wait several months to get the H-1B visa. If instead or in addition, an application for Labor Certification is filed and approved, (if premium processing for the I-140Immigrant Visa petition) is utilized, the applicant could potentially be in the United States within one year or less from the filing of the original labor certification. This is not much longer than if an H-1B had been approved. Unfortunately, this alternative is not available for persons charged to India or China. Persons from these countries are subject to separate longer waiting lists for employment in both the EB-2 & EB-3 categories. However, for anyone else whether in the U.S. in legal status or overseas, this alternative to the H-1B is an excellent opportunity.